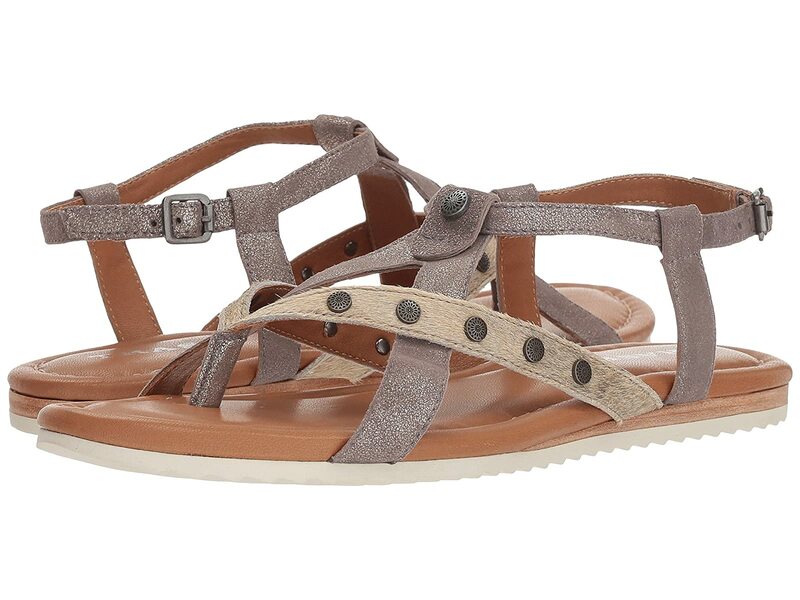 Polish your summer-look with the chic and stylish Shayla sandal by Trask®! Upper is constructed of washed lambskin leather. Buckle closure and elasticized-gore straps ensure an adjustable and formfitting wear. Emblems and metallic paint decorate the straps. Supple lambskin lining provides a breathable wear. Dual-density cushioned footbed delivers plush responsiveness and support. Flexible rubber outsole is adorned with sawtooth design for extra traction and grip.